Nerd For A Living’s Wendy Buske just returned from C2E2, which was, by all accounts, a fantastic show again this year. While she was there, she had the pleasure of chatting with one of our favorite artists and comic creators, Janet K. Lee. Once you know Janet Lee’s style of artwork, you’ll always recognize it. Starting out as a fine artist, Janet’s unique use of decoupage gives dimension and texture to her comic art that is truly all her own. 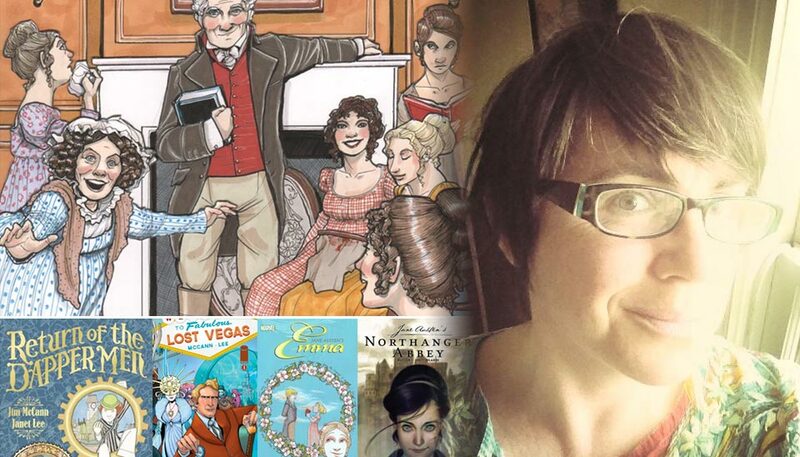 Based out of Nashville, TN, Janet got her start in comics on the acclaimed original graphic novel, Return of the Dapper Men – which garnered a record-setting five Eisner nominations in 2011, and won the Eisner Award for Best New Graphic Album. 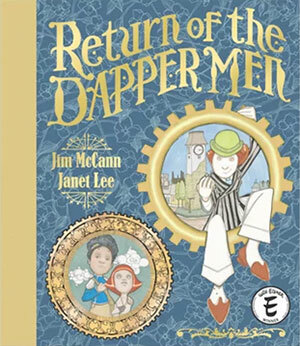 Since then, she’s illustrated a second original comic, Lost Vegas, with her Dapper Men collaborator, writer Jim McCann. 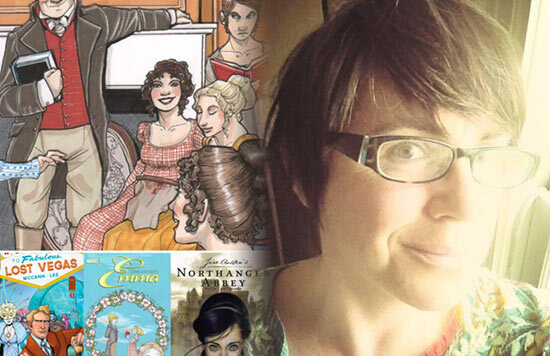 She’s also worked on licensed IPs such as Marvel’s Once Upon a Time anthology, and two beautifully illustrated graphic novelizations of Jane Austen stories, Emma and Northanger Abbey. 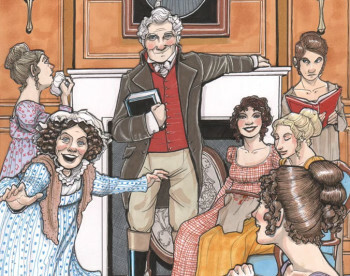 Janet is currently in the middle of a Kickstarter for her third foray into the worlds of Jane Austen, illustrating the classic novel, Pride and Prejudice. Wendy and Janet also talk everything from how Janet got her start in start in book publishing to what breakfast foods superheros would like. It’s a quick, fun interview that will hopefully give you a glimpse into Janet’s whimsical world.